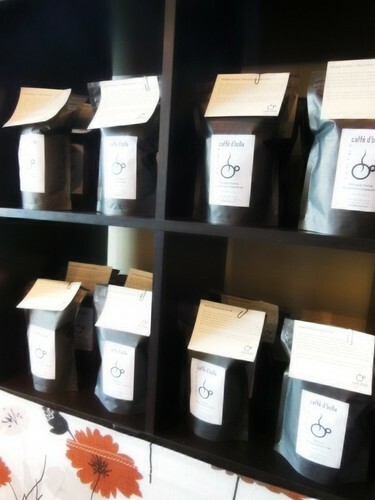 Lots of coffee-roasting at the shop this week! One of the coffees that was roasted and bagged just now is Bolivia Buenavista #1738. Buenavista is a centralized coffee processing station in Caranavi, the capital of the Yungas province in northern Bolivia. Pedro Rodriguez, and his son Pedro Pablo, operate the station. Coffee cherries are delivered by taxi from the surrounding small farms to the processing station where they are washed and dried on raised beds. All of the quality controls in place result in amazing coffee. In the cup it’s almond, pear, and cinnamon with hints of dark cherry on a bed of Muscavado sugar and cocoa. Fantastic!